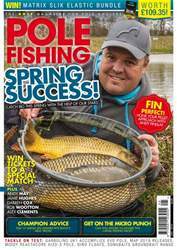 Preston and Sonubaits’ Neil McKinnon demonstrates why now is the time to start focusing on commercial margins. 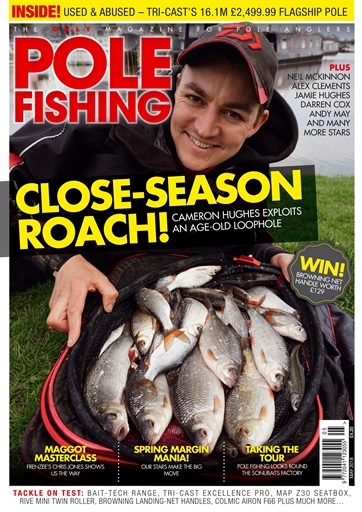 Daiwa star Cameron Hughes heads to Shardlow Marina. Are we doing enough to promote youth in fishing? The start of the big-money qualifier season – will Jamie Hughes make his annual appearance in another big final? Sensas’ Alex Clements returns to a tough Gloucester Canal. Marukyu and Maver angler Sam Brown explains why hard pellets are a must now things are warming up. Andy May headS to Bristol’s Acorn Fishery. Meat and pellets make a devastating combo on commercials, according to Browning’s Jim Hall. The river close season means distractions are needed. Frenzee and Bait-Tech’s Chris Jones shows us why maggots should never be forgotten. Garbolino’s Darren Cox, stresses the importance of a measured approach. Sensas new boy Alan Donnelly demonstrates a canal approach that is certain to see you catch plenty. 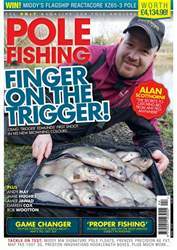 Bait-Tech’s Mark Goddard reveals the tactic that has been helping him prevent foul-hookers. Jake Fowles gets out with a bucketload of Bait-Tech goodies. 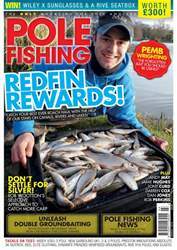 David Haynes reports back on his time using Tri-Cast’s flagship Excellence Pro pole. We take a look at MAP’s Z30 seatbox following some recent adjustments. One of the best pole rollers on the market? Chavey discusses why the Colmic Airon F66 ticks every box for him. Pole Fishing takes a guided tour of the new Sonubaits factory.